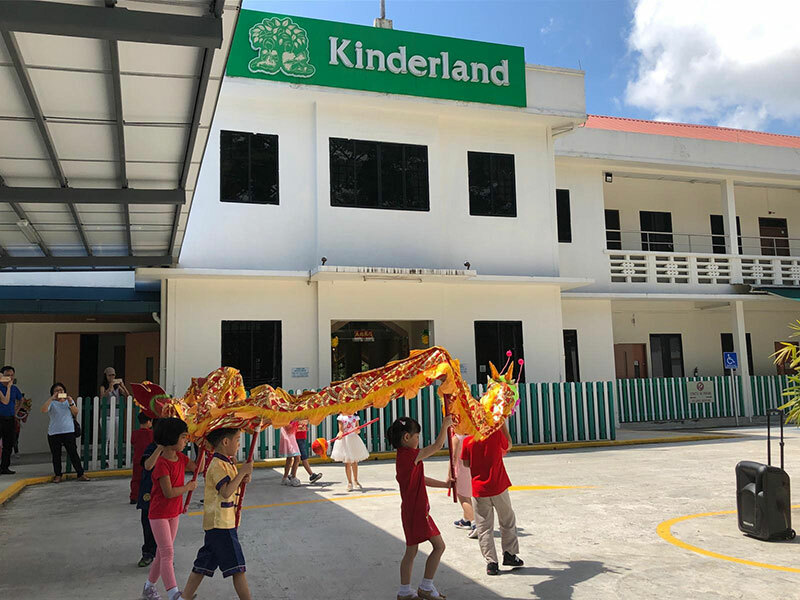 How Does Kinderland Celebrate the Lunar New Year? Home/Happenings/How Does Kinderland Celebrate the Lunar New Year? Singapore is a melting pot of cultures. Here, we celebrate festivals specific to each ethnic group. 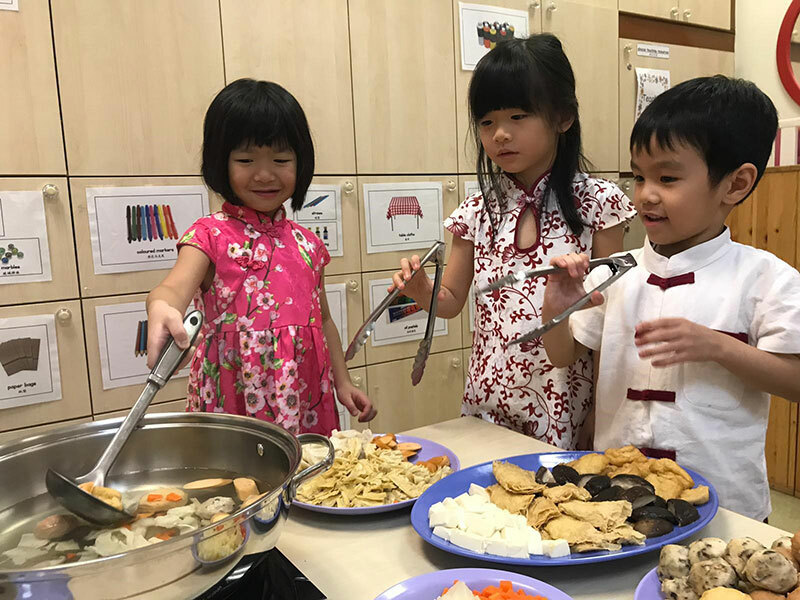 With our multi-cultural social fabric, our children get to experience a multitude of festive celebrations including Chinese New Year (CNY), Hari Raya, and Deepavali. Lunar New Year is one of the most significant Chinese festival that’s celebrated by Singaporeans. Here’s how our different Kinderland centres celebrate and usher in the Year of Pig. In celebration of CNY, our children at Pandan Valley had the opportunity to interact with our friends from Zhu Hai, China via a video call. Launched in 2018, the E-ambassador program was implemented to provide children with a platform to exchange and share cultural practices with their overseas counterparts. 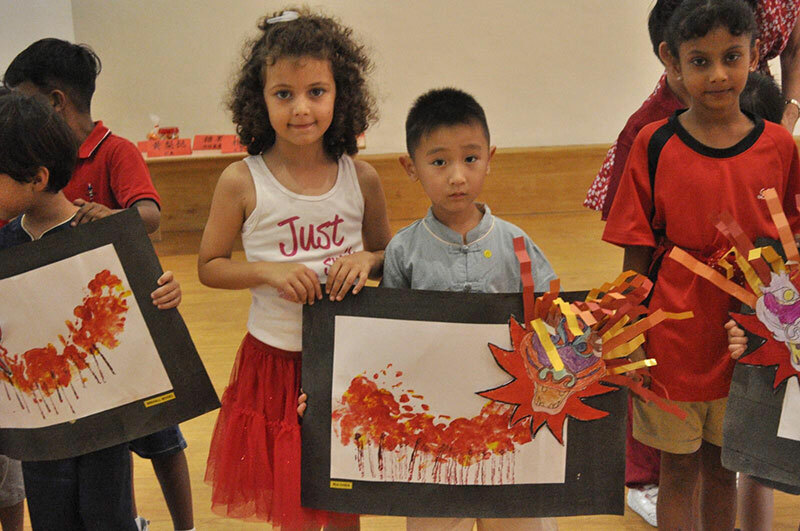 This year, our students shared how the Lunar New Year is celebrated in Singapore. The children communicated with their Chinese friends over the screen as they share what Chinese families here typically do to prepare for the festive period. 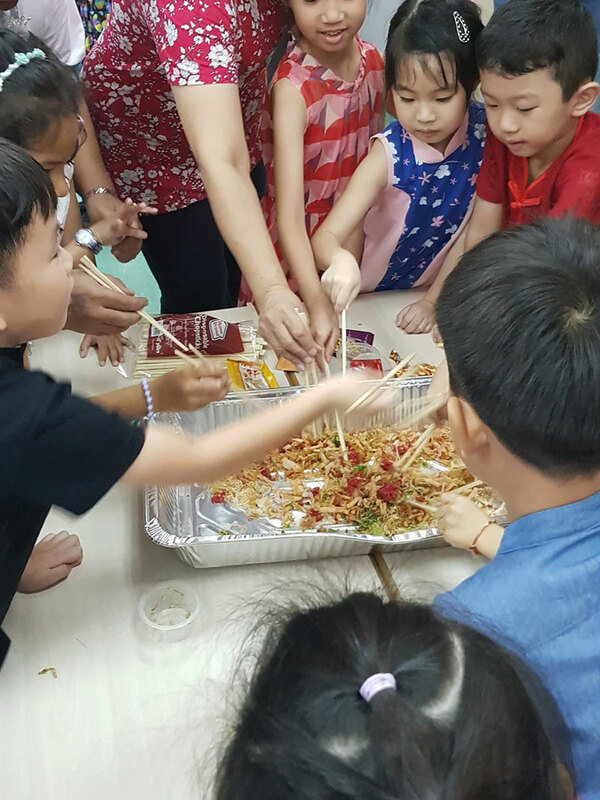 From spring cleaning to CNY goodies, the students showed pictures of local delicacies including love letters, pineapple tarts and yusheng. We hope that through this E-ambassador program, our children get to learn about cultural differences from their friends overseas. In the process of sharing, they get to build self-confidence and self-esteem during the show-and-tell session. The E-ambassador platform not only familiarises our children with digital tools, it also trains them in critical thinking, listening and speaking skills which are fundamental for a child’s growth. What’s CNY without dolling up in festive attires? 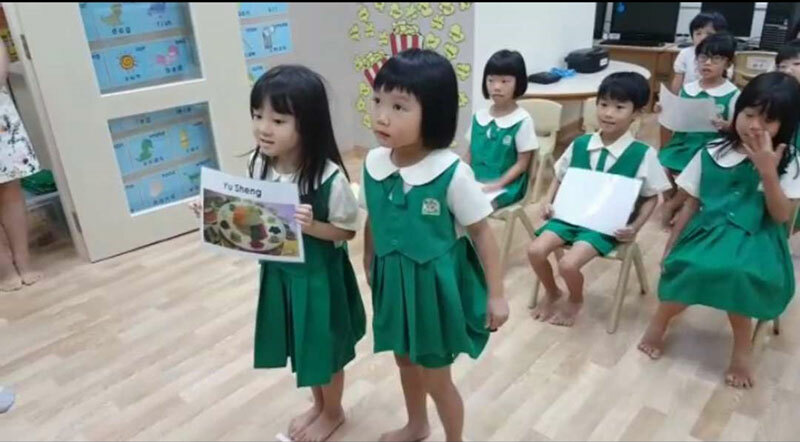 At Marine Parade centre, our children not only had the opportunity to dress in the attire of their choice, they also put on a performance for their parents and teachers. To teach them the significance of the festival, they also made their own tangyuan, a Chinese dessert made from glutinous rice flour, which is a symbol of reunion. 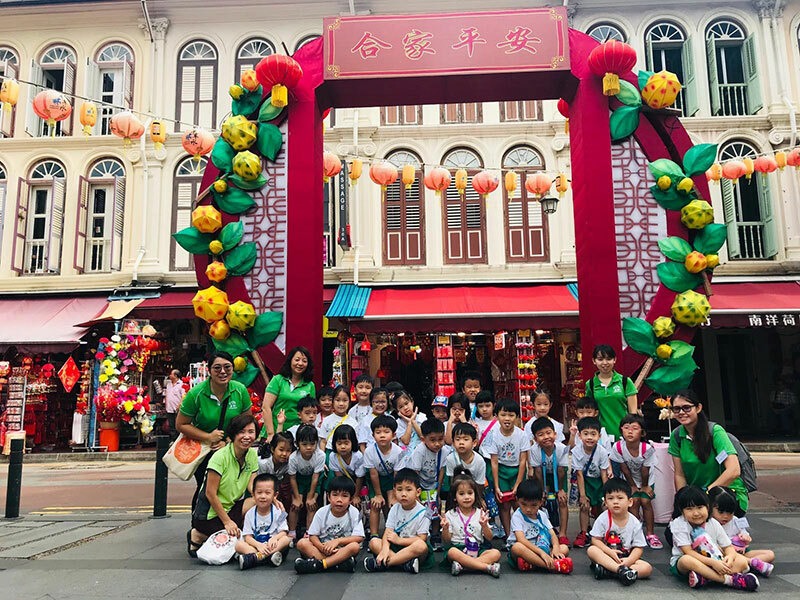 At Sengkang, our children in nursery to K2 had a day’s trip to Chinatown. The children strolled down the lanes and got soaked into the Chinese New Year atmosphere. They saw an assortment of festive goodies neatly in rows, decorations such as door couplets, paper-cutting, and upside-down Fu characters. Our teachers at Kinderland believe in the power of outdoor learning. Getting out and about into the community is not only an exciting change of scene for our children, it also provides them the first-hand experience as they exposed themselves to the festive ambience, observe the interaction happening between the sellers and shoppers. All of which activates their five senses – sight, hearing, taste, smell and touch. Steamboats are a must-have for anyone celebrating CNY. Be it the young or old, steamboats are suitable for all ages and our children at MOM commemorated their celebration with a steamboat session. Our teachers took the opportunity to teach them about the origins of this festive season. Having had their fill with a variety of food, our children also entertained themselves with CNY songs. From Gong Xi Gong Xi (恭喜恭喜) to Ying Chun Hua (迎春花), they knew their songs well by heart and sang to their heart’s content. In preparation for house visits, our teachers also taught the children the culture of exchanging oranges to show respect to their elders. CNY is always a good reason for everyone to gather together and that was what our teachers at Serangoon did. They invited families and teachers for a get-together and watch the performances that our children had prepared for them. 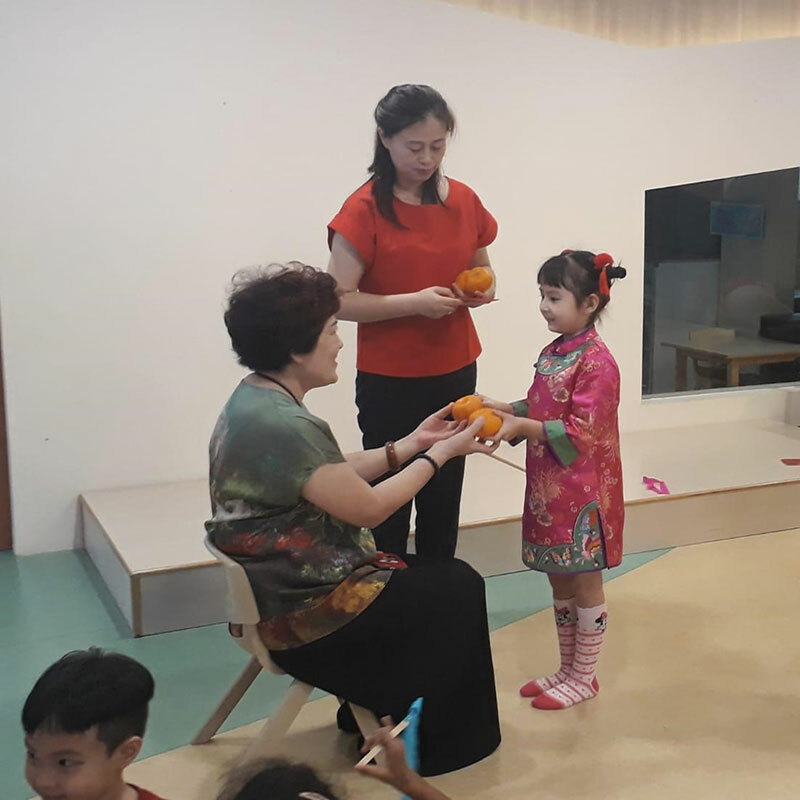 To help our non-Chinese friends better understand how we celebrate CNY, our teachers and children shared about the traditions and customs that we typically practice. But of course, having knowledge of these traditions do not suffice and so we put what we learned into practice with a lo hei session. Everyone gathered together and as we place the ingredients into the platter, we had the children to take turns to verbalize the auspicious sayings. This is also the time for all of us to toss the raw fish salad before having a mouthful each. 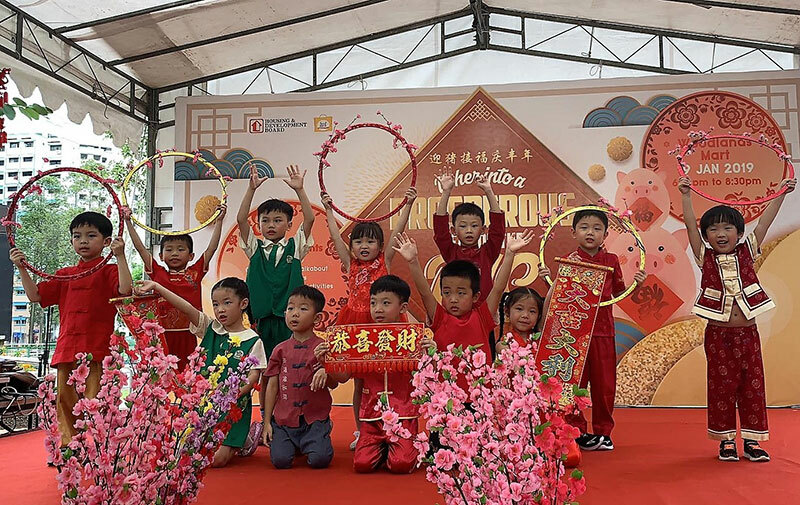 At Woodlands Mart, our children had the opportunity to perform for Woodlands residents at the annual HDB Chinese New Year event. 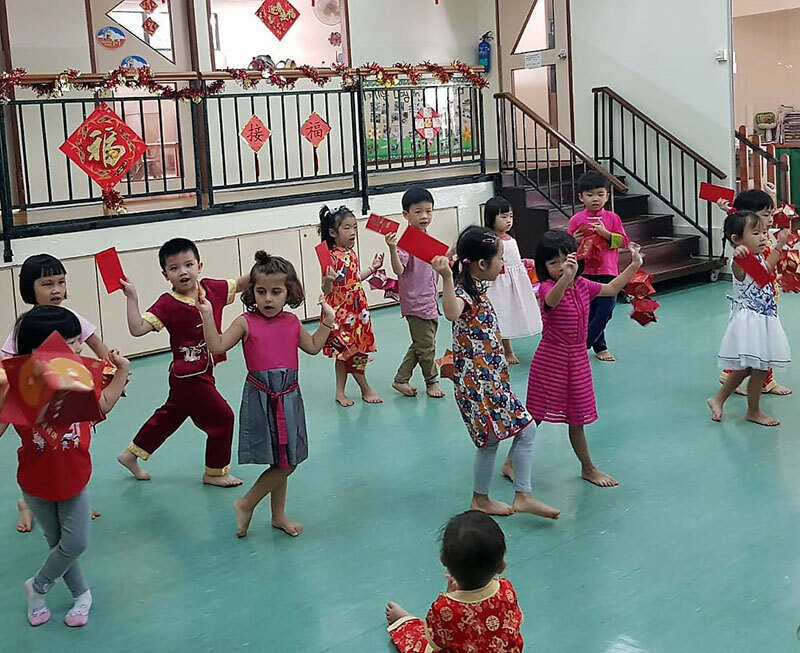 Dancing to the music of Xin Nian Niu Yi Niu ( 新年扭一扭), our K2 children also performed on the hand bells, triangle, hand drum and rhythmic sticks. To further their community outreach, they also visited nearby shops and greeted each store owner with mandarin oranges in their hands. It’s part of the centre’s efforts to teach them the values of respect and kindness, which we believe are key to their growth and personal development. 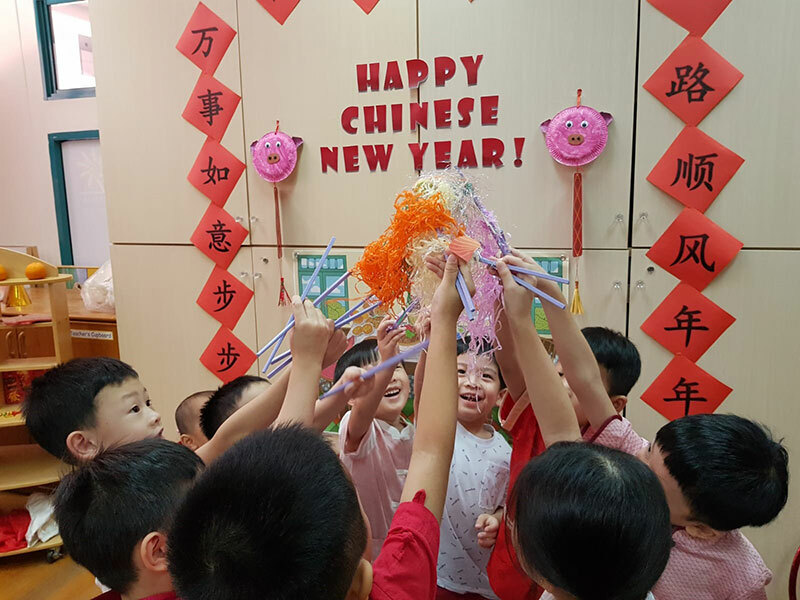 Back at class, our children were given the room to creatively express themselves as they decorate their classrooms for CNY. Through this little activity, we want to teach them the value of taking ownership of their classroom and the importance of teamwork. 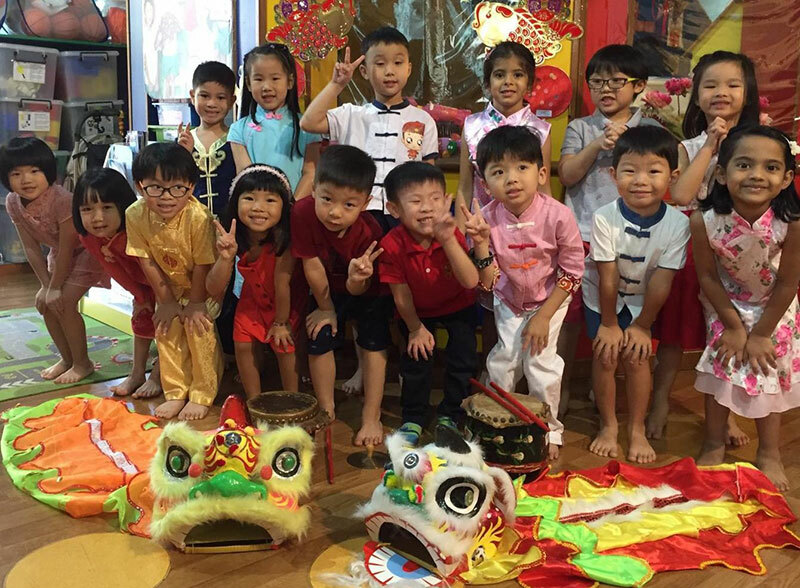 Lion dance is an annual affair during CNY and our young ones at YCK had their first-hand experience of being in a lion dance troupe. In efforts to mimic a lion’s movement, the children worked closely as they sync their legs and hands together. After weeks of preparation, they were excited to put up a performance for their loved ones at school. Our teachers at YCK also collaborated with The Grange Institution to celebrate CNY. Through this partnership, children from both schools had the opportunity to work together and create an artwork. It was a valuable platform for them to learn how to interact with one another and working with friends from other parts of the world.